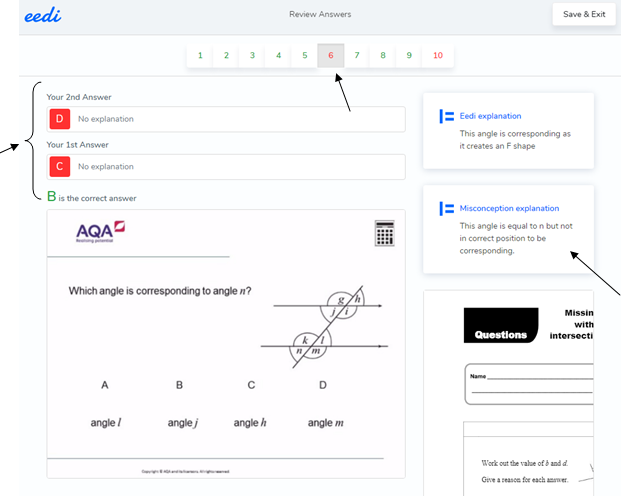 Eedi gives you the opportunity to attempt your incorrect answers again however if you are still unsure and get your second attempt incorrect, we have introduced the 'Misconception Explanation' in your review section. You can view all of the questions within the quiz. If you click into the questions you got wrong (numbers that appear in red). You will be able to see the 'Misconception Explanation' on the right hand side, this is Eedi's explanation as to why we believe you may have gotten the question wrong. 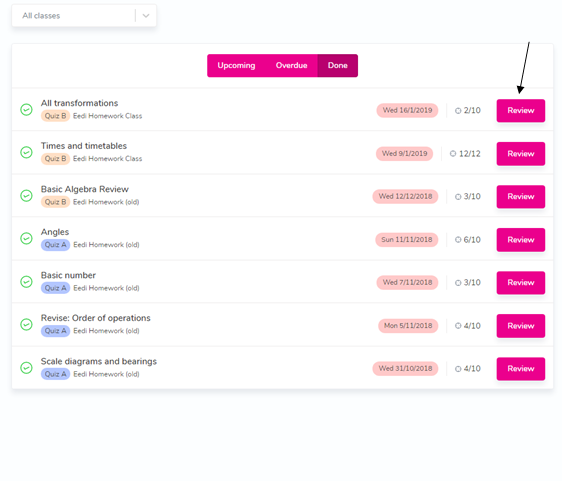 Additionally, you will have worksheets & video's specific to the question, if you wish to self teach in overcoming the misconception you have faced.